BJP national president Amit Shah has asked Congress president Rahul Gandhi to clear his party's stand on New Delhi's muscular policy in face of terror threats like the recent Pulwama attack in south Kashmir. New Delhi: BJP national president Amit Shah on Saturday charged Congress president Rahul Gandhi with questions pertaining to remarks made by the party’s overseas in-charge Sam Pitroda over the Pulwama attack and the NDA government’s stand on terrorism. Asking him to clear his party’s stand on Sam Pitroda’s comments questioning the government’s action against Pakistan after the Pulwama terror attack, the BJP chief added that the Congress has ‘insulted’ the martyrdom of soldiers and also put a question mark on nation’s security. 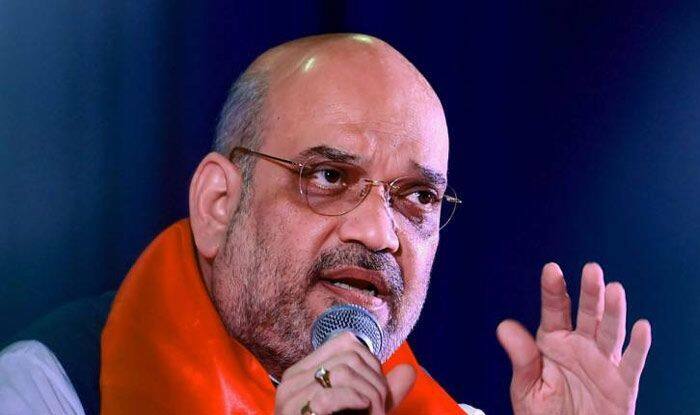 Launching a fresh offensive against the Congress, Shah said the opposition party is known for its “vote bank” and “appeasement” politics during elections, but Gandhi should answer whether it is above national interest and if such politics can be done over the grief of families of soldiers killed. Shah also asked Gandhi to apologise to the country, to the families of those killed in the Pulwama terror attack and armed forces for Pitroda’s remarks, saying for the Congress to merely distance itself from his comments will not do. Pitroda, he added, also questioned surgical strikes and air strikes launched by the Indian armed forces. “Does the Congress believe that terror incidents that happen in the country have nothing to do with the Pakistan government or Pakistan army?” Shah asked, seeking Gandhi’s response.? Prime Minister Narendra Modi had on Friday cited Pitroda’s comments to launch an all out attack against the Congress on the issues of terrorism and national security.